In the field of addiction we remain hopeful that good news regarding the American addiction opioid epidemic is on the horizon. Over the last couple years lawmakers and health experts have been working hard to get a handle on over-prescribing and patient opioid misuse and to help the millions of people who are already in the grips of an opioid use disorder. We have written about the Comprehensive Addiction and Recovery Act (CARA), for instance. This aims, among other things, to expand access to addiction treatment services across the country. Lawmakers and addiction experts have pleaded with doctors to better utilize various resources, such prescription drug monitoring programs (PDMP). The Drug Enforcement Administration (DEA) has worked hard to emphasis the importance of safely disposing of one’s unused prescription opioids. For example, by sponsoring National Take Back Days across the country. Yet, many Americans still have no qualms about giving their unused pills to friends or family members. With over hundred people dying of an overdose in the United States every day, it is hard to imagine what justification people come up with for diverting their medications. Nevertheless, it happens on a daily basis. A new survey revealed that more than 50 percent of people, who misused prescription opioids in 2015, got the drugs via family or friends, CBS News reports. Nearly 20 years into an epidemic and people are still diverting medications despite the nationally publicized attention highlighting the dangers. What’s more, in 2015 (some 15 years into the epidemic), more than one out of three average Americans used a prescription opioid painkiller. The findings of the survey were published in the Annals of Internal Medicine. There have been signs that fewer doctors are over-prescribing than before, but use and misuse rates have remained fairly stable. Despite efforts to reduce both. The survey showed that almost 92 million adults (roughly 38 percent of the population) took an opioid by legitimate means in 2015, according to the article. A large portion of those people are, in fact, not taking their opioids as prescribed. "The proportion of adults who receive these medications in any year seemed startling to me," said study co-author Dr. Wilson Compton, deputy director of the U.S. National Institute on Drug Abuse. "It's an awful lot of people who take these, mostly for medical purposes, but within that a significant percentage end up misusing them." In 2015, 11.5 million people misused prescription opioids they received from people other than a doctor. With almost 1.9 million reporting full-fledged opioid addiction, at the time. If over half of the people who abuse prescription opioids obtained them from a friend or family member, it is a good indication that doctors should be limiting the number of pills and refills they are handing out. 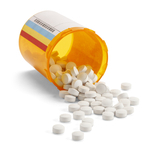 Almost 60 percent of all painkiller misuse was prescription free. "That tells us there are a lot of leftover medications," said Compton. "In many cases, physicians could write smaller prescriptions, or avoid them completely for those who benefit from ibuprofen or acetaminophen." Addiction often begins with someone experiencing pain. Maybe said person doesn’t have insurance, or the money to go see a doctor. So they turn to a friends and family for help. While this occurrence doesn’t always lead to addiction, the risk is extremely high. If an opioid use disorder develops, and one’s access to prescription opioids is cut off, a significant number of people have been tempted to seek out heroin. A drug that can carry an even higher risk of overdose. If you are addicted to opioids, you are strongly encouraged to contact us at Hope by The Sea. Without detox and treatment it is extremely difficult to recover from the disorder. The longer treatment is put off, the greater the chance of experiencing a potentially deadly overdose. Please do not hesitate.